What is Home Online Profits Club? There are too many people who are getting scammed out of their money for taking online jobs these days. While there are many legit sites that offer good opportunities to earn money online, there are still numerous scams out there that continue to prey vulnerable people who don’t bother to make the extra caution when signing up for work from home opportunities. We came across Home Online Profits Club and this is something worth reviewing. Is Home Online Profits Club a scam or is it a legitimate opportunity to earn money from home? Home Online Profits Club offers an opportunity to earn from home. It is created by Linda Wilson who claims that she worked from pay check to pay check in order to meet ends meet until she finally found the right formula to success. The program is offered as your path to financial freedom and many people believe that you can truly earn big from doing simple tasks such as linking posts. However, as we go through assessing how the program works there are promising signs that it is a scam. FIRST : Linda Wilson is a fake. If you try to search for this person you will realize that the same image of Wilson has been used to promote other products but using a different name. You will find the name widespread in other scam programs which definitely will make you realize that if the program is using a fake image and personality behind Home Online Profits Club, then it must be a scam, too. SECOND: Home Online Profits Club makes it look like they are in the headlines of major television networks or shows. This is evident by the logos of reputable networks displayed on their site and even the video that they use to make it look like Home Online Profits Club is in it. But if you view the video it does not even mention Home Online Profits Club but talks about making money from home in general. This trick sometimes works to make people believe the video is actually about Home Online Profits Club. THIRD: Home Online Profits Club show exaggerated claims. Most companies using link posting as a form of their affiliate marketing strategies will pay commissions only whenever people actually click on it. And some pay only cents per click. While link posting may offer you an opportunity to earn online, the income is not as high as Home Online Profits Club claims. Home Online Profits Club provides you information about link posting. However, the information is readily available online for free. There is an opportunity to earn from posting links but maybe not as much as its advertising claims it to be. The training and information provided by the Home Online Profits Club are outdated. There are wealthy of information in the internet that is more advanced with meaty details to learn that will not cost you anything to learn. There are a lot of signs that the program might not provide earnings than it claims. Is Home Online Profits Club a scam? In my opinion, it probably is. It does not provide more substance in the program that is worth subscribing for. The most disappointing part is the fact that the program has the intention of concealing its real creator and is using fake personality to represent Home Online Profits Club to the public. As a result, I could not help but ask what is the owner of the program to hide? Just as any legitimate business it is important to disclose the creator of the program to establish integrity and reputation of its products. With Home Online Profits Club it failed to convince me that this program is trustworthy. 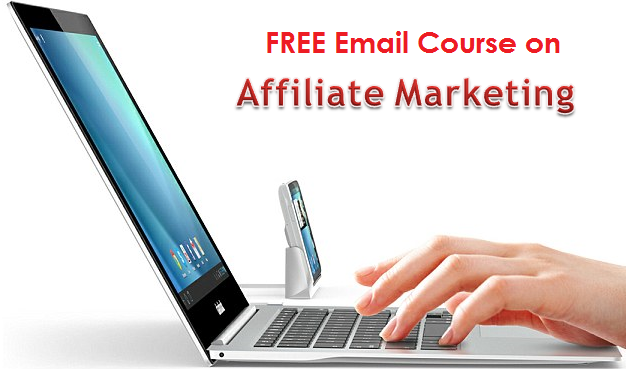 In closing, affiliate marketing is a good way to make money. But link posting as a medium in promoting products to earn a commission is not something you would completely rely on towards financial freedom. IS ULTIMATE HOME PROFITS A SCAM? 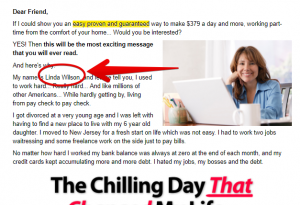 – PREPARE TO GET MISLEAD Is Extreme Home Paycheck A Scam? -You Should Avoid It IS AUTO HOME PROFITS A SCAM? – AUTO DISAPPOINTMENT IS HOME WEALTH REMEDY A SCAM? – STAY HOME AND AVOID IT! Is Membership Sites Blueprint a scam? 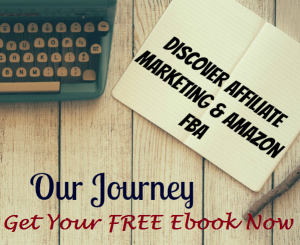 Affiliate marketing or Membership Sites, you choose. Thank you for justifying my supecions about this, I was scamed by another FAKE 37 CLICKS, WITH non other than RORY RICORD. THEY signed me up with a LIYING COACH ! I calked when I found out by looking on line that KELLY SIMMONS was a fake ( LOOKS JUST LIKE THIS LINDA WILSON PERSON) I HAD TO GET THE HELP OF MY BANK TO GET THIS SETTLED !!! THE COACH FLAT OUT TOLD ME THEY NEVER RECIVED PAYMENT? OH REALLY, uf that’s the case #1 why was he steal couching me? #2 WHY WAS THE MONEY TAKEN OUT OF MY ACCOUNT? #3 THE COMPANY THAT TOOK THE MONEY OUT TOLD ME I HAD TO GET APPROVAL TO GET THE MONEY RETURNED. LESSION LEARNED STAY AWAY FROM THESE PEOPLE.